When I tried to catch the last drops of Balerina, I realized that I urgently need a new varnish. 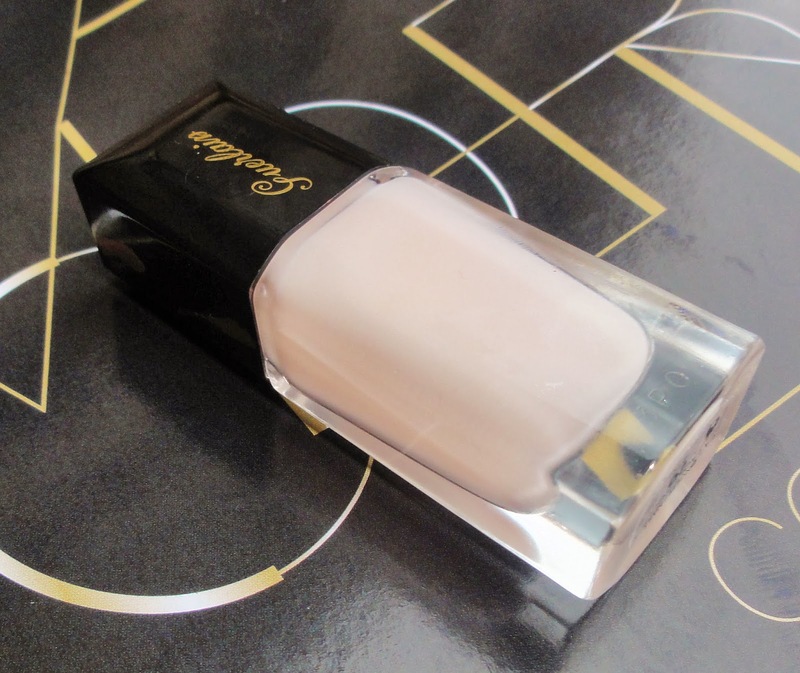 In the firm belief to buy the same one I went to the store for Chanel, but at the last moment the arose desire to try Guerlain varnishes prevailed and I took a nail with a seductive name Lingetie. The design of bottle is perfect: slightly beveled edges and a thick bottom resembling a bottle design ща Lancome La Vie est Belle, look airily and stylish. Lingerie... means underwear: comfortable, expensive, beautiful, seductive and discreet. This varnish combines all these characteristics. 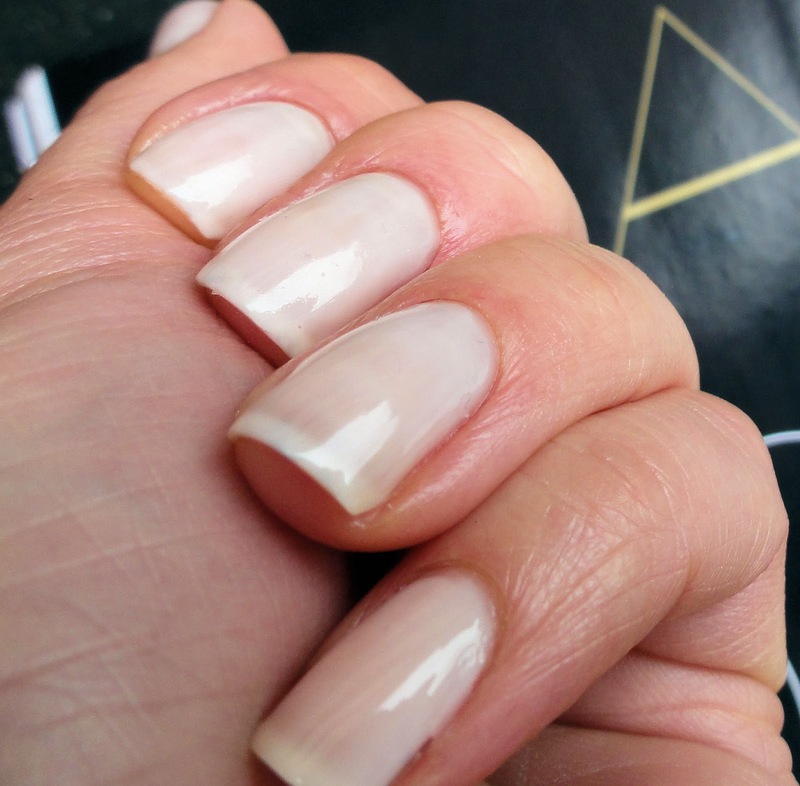 The varnish itself is a white cream with pink undertone. 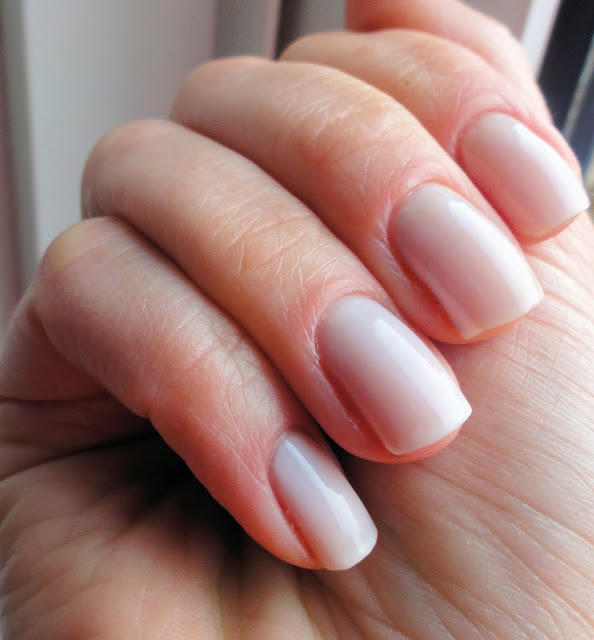 But this pink on nails is almost invisible that it seems to be porcelain white. Precisely this marshmallow and tenderness attracts me. The shimmer is so unobtrusive that I couldn't catch this on the photos. And of course it is not always visible. 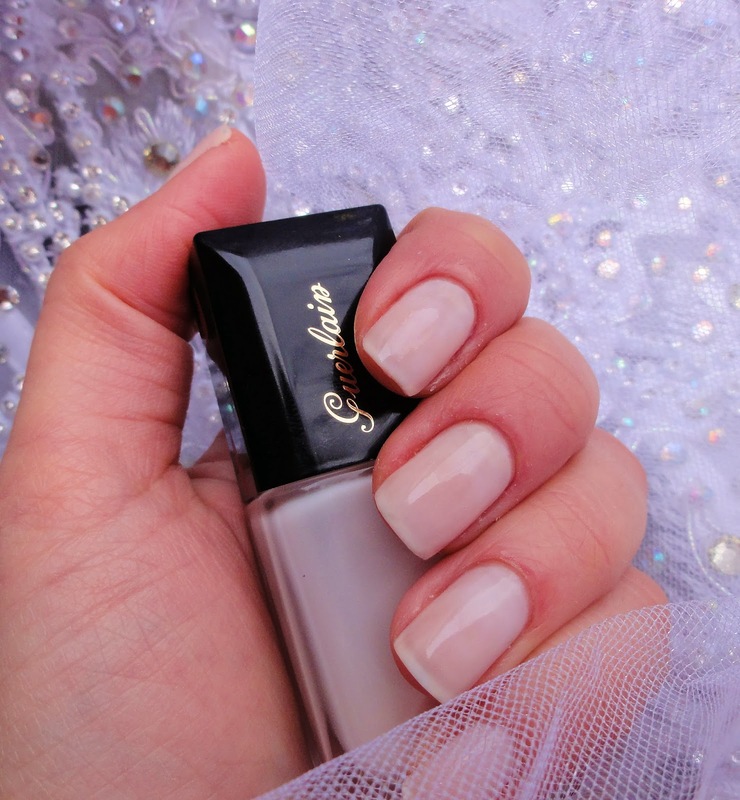 It is ideal for wedding manicure, and will be appropriate for work and party. With this varnish the hands have always well-groomed look. This is the most important thing. The varnish stays on my nails without top coat two days, with the top the situation is better - 4 days. 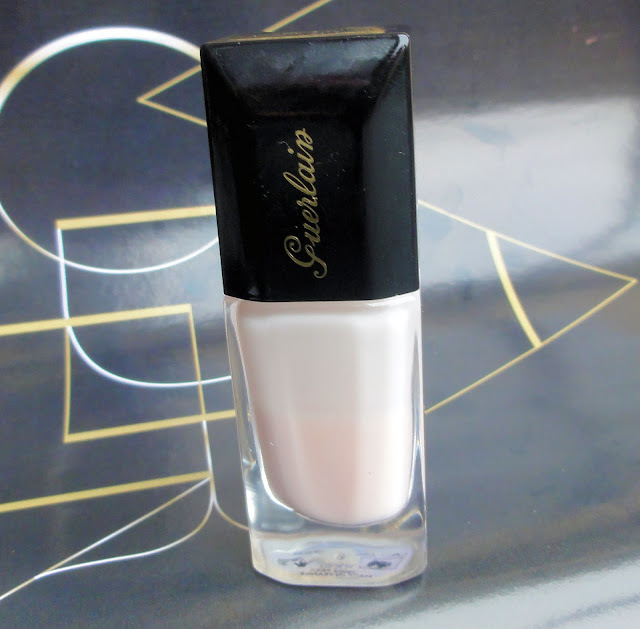 I apply always two coats, although it is possible in one. 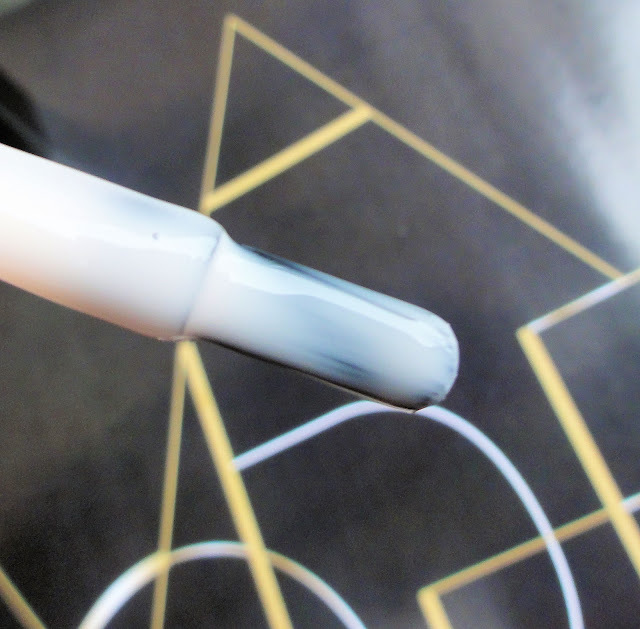 It spreads beautifully across the nail without bubbling, streaking, or pooling along the edges. Lingerie... This varnish could supersede my Balerina and won my hart. Expensive but comfortable, wearing it I am like in luxury underwear: it is invisible but gives a feeling of confidence.